Rupert Pupkin Speaks: Favorite Underrated Comedies - Eric Branscum ""
- or here - https://twitter.com/comebackcinema. When a film is considered underrated it can sometimes come with a stigma that the movie is just better than you expected. Not necessarily great, but maybe deserves to not be ignored. Or at least that's how I hear it sometimes, who knows. 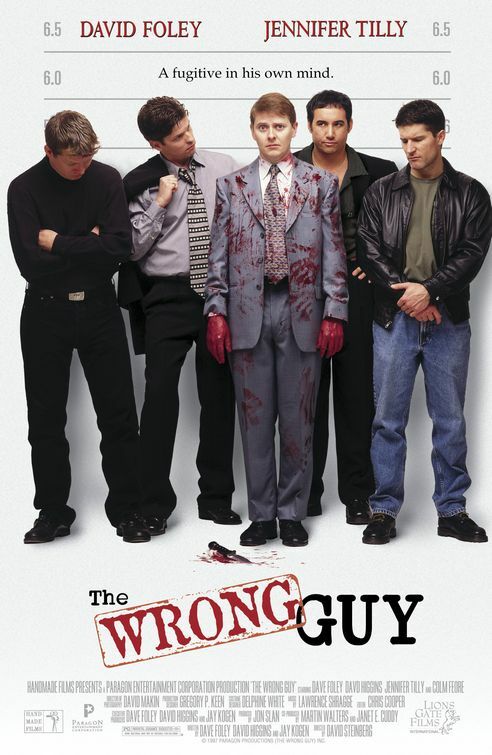 My point is, The Wrong Guy is genuinely one of the greatest comedies of all time. 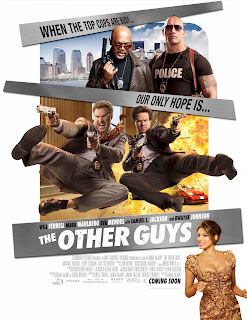 Up there with This Is Spinal Tap or Raising Arizona, this movie takes a one-joke premise (admittedly, it is a very funny one-joke) and is consistently funny from beginning to end. 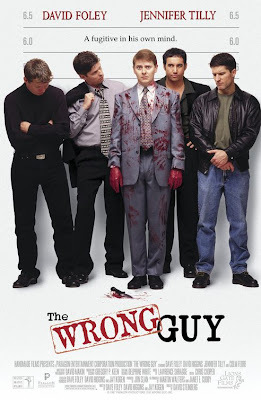 Dave Foley plays an executive who stumbles upon his boss' murder, making it look like he committed the crime. Convinced the police will be after him, Foley goes on the run hoping to clear his name... despite the fact that his name is clear, the police know it wasn't him and he's on the run for no reason. The film is remarkably silly and while it's not rare for a film to be packed with jokes, it is rare for them to be so consistently great. If any film on my list were a "must see," it'd be this one. The ex-record store employee in me is putting this on the list just to bring attention to the incredible band Half Japanese. Their album Sing No Evil is a classic. 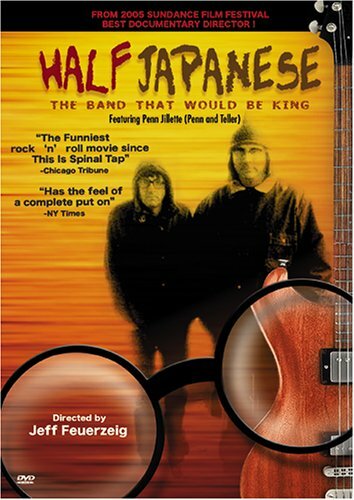 But the responsible guest blog contributor in me thinks this documentary about the band is hilarious and should be included appropriately. The film follows brothers Jad and David Fair as their band reaches moderate success. Typical band doc stuff, I guess. But these guys are such characters and so bizarrely funny (I say this as a big fan who thinks these guys are geniuses) that at times it seems like they're doing a comedy bit. There's a moment in the film where they explain how to play a guitar, something neither of them know how to do, that is almost too perfect in it's simplicity. "The little skinny ones make high sounds, the big fat ones make low sounds." There's also a story Penn Jillette tells about trying to secure the rights to their back catalog that seems like something someone would make up. I'm not saying he made it up, I'm saying his story is that good. 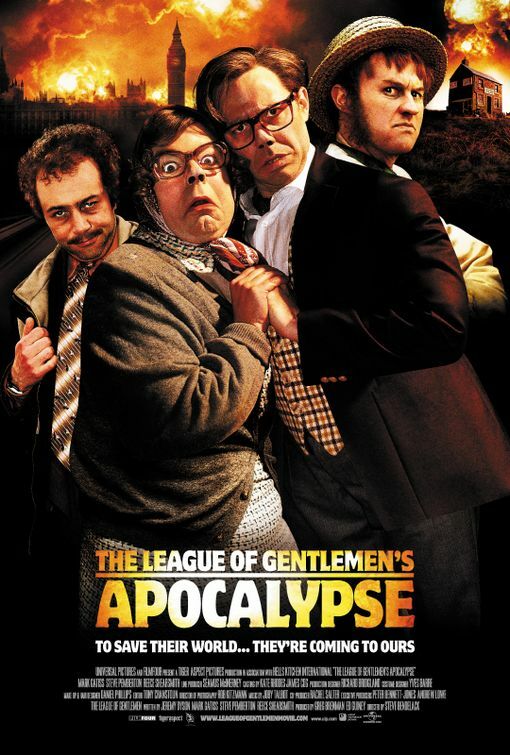 If you've not seen the BBC comedy show The League of Gentlemen, you should seek it out. It was a sketch show that ran from 1999-2002 that had more in common with The Shining or The Wicker Man than it did Monty Python. I've found that even the best horror/comedies tend to succeed more with the funny rather than the scary. But not so with The League of Gentlemen. That show is SCARY! While the film isn't as good as the show, it is underrated and is worth some attention (I just completely negated what I said at the beginning of this post). The show takes place in Royston Vasey, a town full of horrendous characters that you would never want to meet anywhere and at the start of the film it appears as though their world is about to end. Turns out that the creators of the TV show The League of Gentlemen have stopped writing the show, bringing about the apocalypse. The residents decide to come to our world to make their creators keep their world alive and it just gets more meta from there. It's as if The Goodies decided to remake Wes Craven's New Nightmare. The lesser known of the two bear documentaries with the word grizzly in the title. 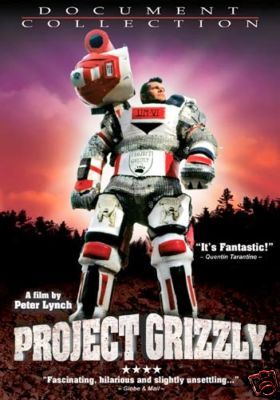 Project Grizzly is about a man who, after an encounter with a bear, decides to make a suit capable of surviving a bear attack just so he can encounter one again. The suit looks like something on the cover of a sci-fi novel and the sequence where he tests it is one of the funniest things I've ever seen. They drive a truck into him, push him down a cliff and swing giant tree trucks into him. It's like watching a respectable version of Jackass. The crazy thing about it though, he's ok! The suit actually works. So maybe the jokes on me, I don't know, not that I wanted him to get hurt in the first place. Anyway the man in the suit, Troy Hurtubise, is a fascinating guy all on his own. The scene where he tells the story of his bear encounter is incredible. When this movie came out in theaters not too long ago, I, like most people, politely said "no thank you." Trailers did nothing for me and I already saw Hot Fuzz. But that was a mistake. For the first hour of this movie, just about every joke lands. And this is definitely a joke movie. It will digress at times, putting the plot on hold, just to tell some silly joke or finish a bit and I'm fine with that. But like I said, that's for only the first hour. After that it kinda falls apart. Actually, not kinda falls apart but completely and embarrassingly falls apart. But it is still worth watching up to that point! 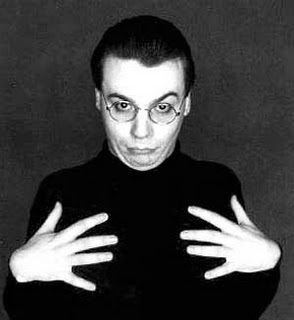 It also features an amazing comedic performance from Michael Keaton. It's no surprise he can do comedy, we all know that, but it sure is a shame when he goes unnoticed. Mike Myers backed out of this movie based on his SNL character Dieter because he was unhappy with the script he co-wrote. Which is a shame because it's great. I read it almost solely because one of the other co-writers was Jack Handey, an amazing comedy writer. But the script is good, much better than other scripts Myers would end up producing. It's also full of great lines like this one, after Dieter is asked what he's thinking about, "If they can put a man on the moon, why can't they put an insane man on the moon?" Was just in a great record store, True Vine, on a recent trip to Baltimore. As it turns out, the guy (good dude) who owns the shop is a sometime member of Half Japanese.